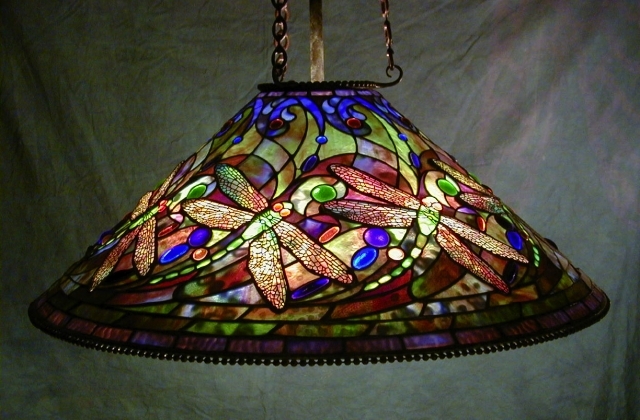 This dragonfly is one of two 28″ Dragonfly shade patterns that we offer. With the flying insects swirling diagonally across its surface, this pattern is full of excitement. 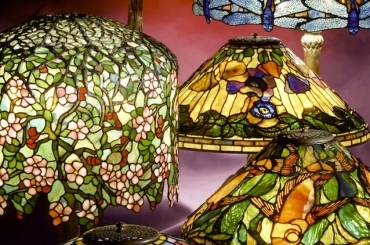 We created this shade in 1996 using Lins glass, and the background of the shade is studded with pressed glass jewels made at our studio. This chandelier is in a local collection.